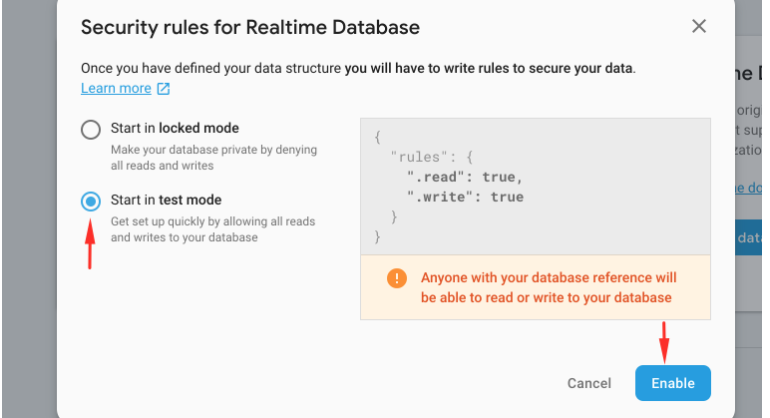 All the data is stored in Firebase Realtime Database and Firestore database. In Firebase we store information about the app, like colors, navigation etc..
And in Firestore is where our actual data is. Like menu content, categories, orders etc..
We use Firebase because it has an import function. Let's get started. 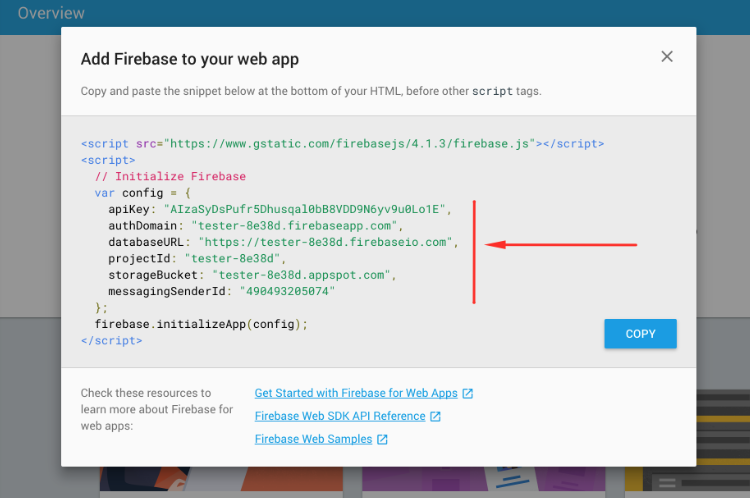 Create an account in Firebase with your google account. 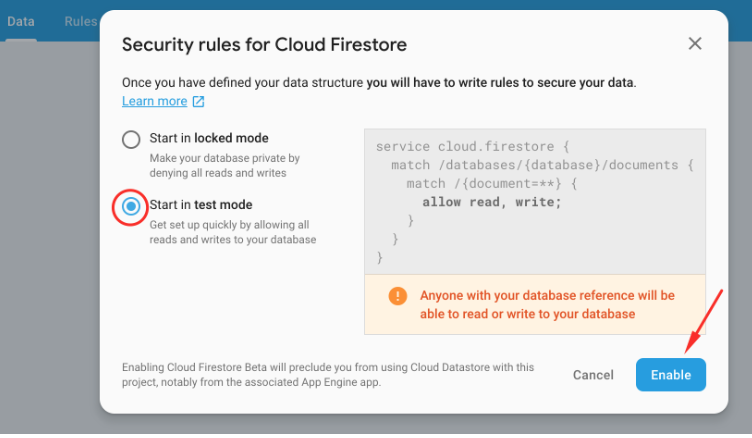 Then go in Project settings, and click on "Add Firebase to your web app"
Then copy the config string. Then in your downloaded project, in the root folder, there is "config.js" file. At start replace the config for firebase there. Your mobile app is set up now and connected to Firebase.